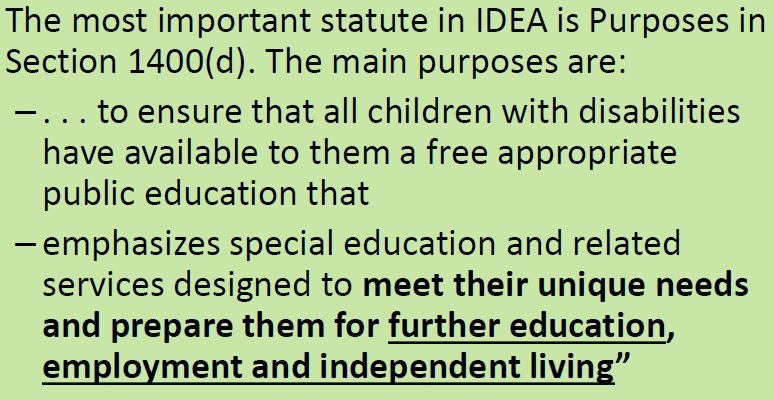 After taking a course in special education law I have come to realize that most parents and educators, including many special education teachers, do not know the purpose of special education. I am not an expert but have researched the issue beyond simply reading IDEA. Here is a file with slides (including the one in the photo above) from a presentation I give on this topic.